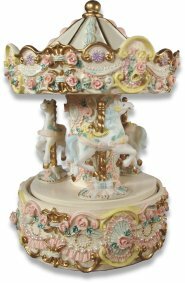 A beautifully painted music box carousel with 3 miniature horses. 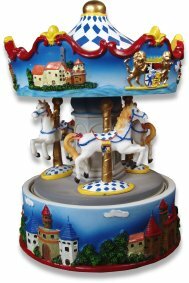 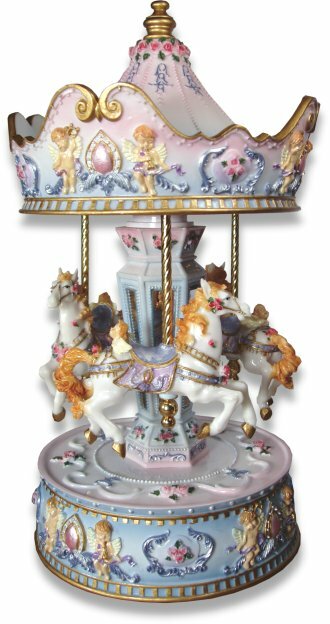 The base is fitted with a clockwork musical movement.The top part of the carousel rotates within the base as the ornament plays the melody Dixie Land. 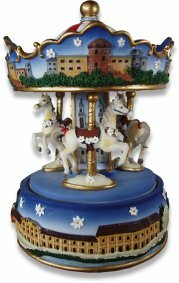 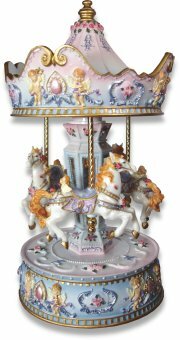 This musical carousel is made from a cast resin and hand painted with gold colours and cherubs.